Having only shown a small section of this at the back of issue #13 we now have the full cover to show you! Things are progressing (slightly) slower than hoped on the new book but I still hope to have it out by the end of June! But yeah, here’s the cover! 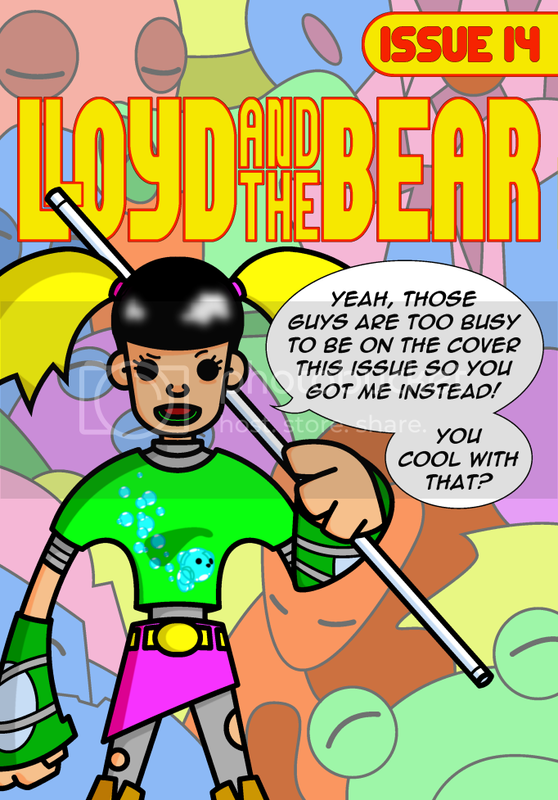 So who is this new character and what does it have to do with Lloyd and Bear? Forget all that! Just marvel and her great taste in t-shirts!! !